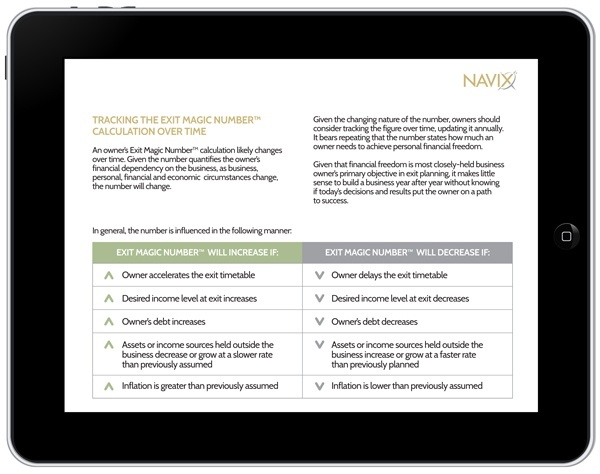 The Exit Magic Number™ calculation forecasts the amount an owner needs to extract from the business leading up to and at exit in order to achieve financial freedom. 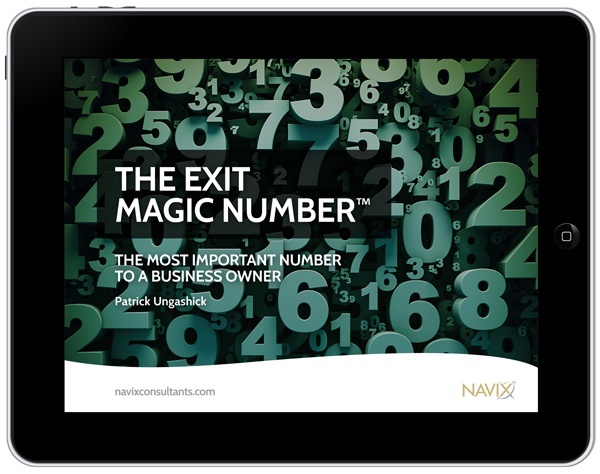 Your Exit Magic Number is the most important number to you as a business owner. It calculates the net amount you need to achieve financial freedom after you exit your business. It may assume you don’t need a paycheck anymore, whether you retire or not. 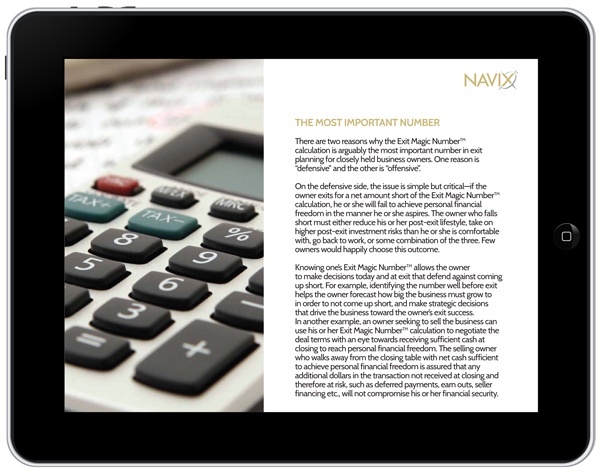 Most owners don’t know their Number and most financial advisors miscalculate it. It has nothing to do with your business’s value; if your business’s value is how much you have, your Exit Magic Number is how much you need. 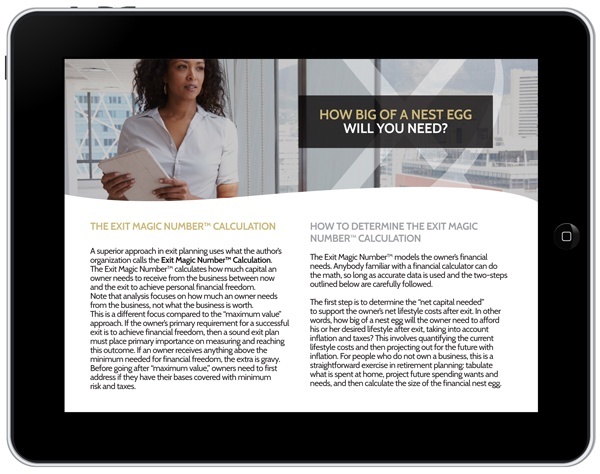 Refer to this eBook to understand the importance and process of calculating the Exit Magic Number, to guide you in determining yours.